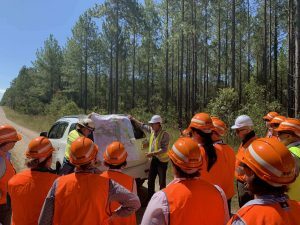 Wrapping up a whirlwind five days, Responsible Wood’s Jason Ross is buoyant about the role forestry can play in primary and secondary school education. 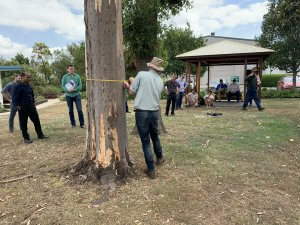 Billed as the “Food, Fibre and Agricultural Educators conference” Responsible Wood brought the important certification message to educators far and wide. Assisting FWPA and ForestLearning, Responsible Wood took part in a number of trade displays, bus tours and interactive workshops. Taking the message off-road, getting educators out of the classroom and into the field. According to Jason Ross, the conference was critical in providing educators with information, ensuring teachers make informed decisions about sustainable forest management in classroom discussions. “Responsible Wood is proud to assist ForestLearning, providing educators with material relating to forest certification,” Mr Ross said. Onto the conference where the AgForce School to Industry Partnership Program convened more than one hundred school teachers together from across Queensland and around the country. “Amazingly the conference trended nationally on twitter, I understand that it was second only to the Australian Open on social media,” Mr Ross said. It seems that food, fibre, agriculture and timber is the talk of the town! And with a challenging itinerary the educators got their money’s worth. 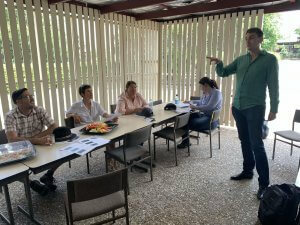 “From trade shows and workshops in Brisbane, teachers were deployed throughout South East Queensland journeying to the forests and witnessing the timber supply chain in action,” Mr Ross said. 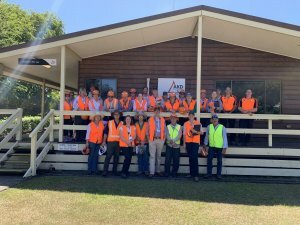 Highlights included a visit to the DAFQ Wood Science Research Centre in Brisbane, the AKD Softwoods sawmill in Caboolture and the HQPlantations pine plantation in Ningi. “As proud Responsible Wood scheme holders, DAFQ, AKD Softwoods and HQPlantations reaffirmed the importance of forest certification, verifying the social and environmental credentials for the industry,” Mr Ross said. As the largest forest certification scheme in Australia, the Responsible Wood ‘trust mark’ provides third party validation for all timber at the source, and through the supply and value chain. “That’s a very important triple-bottom line,” Mr Ross said. For more information about Responsible Wood certification for Sustainable Forest Management and Chain of Custody for Forest Products please visit the Responsible Wood website.